Here’s U, fully immersing herself in the experience and listening to the sounds of Singapore emerging from the floorboards of the installation. 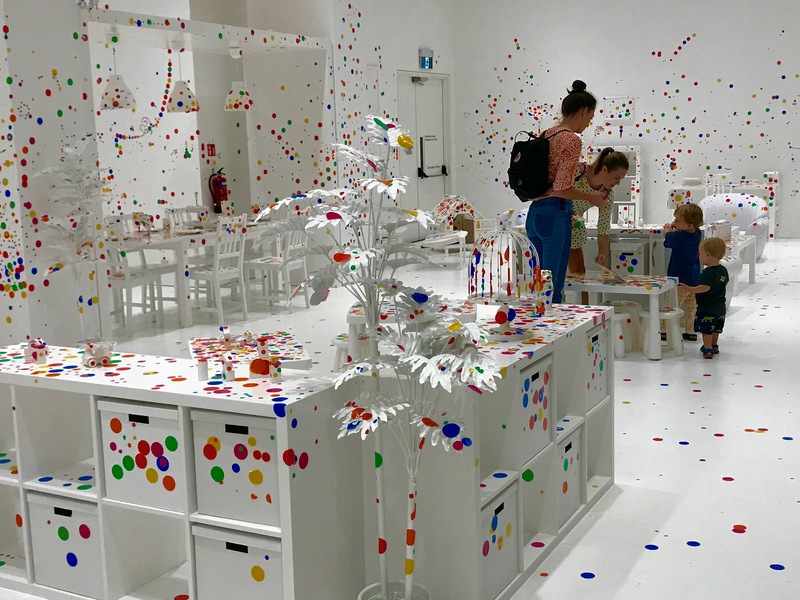 I must confess, however, to a niggling sense of disquiet and to wondering whether any child visiting these exhibitions would be able tell that they were in an art museum, looking at art, as opposed to playing in an amusement park or playground. Is the context and the meaning of the artworks lost in all the busy-ness and activity, the bombardment of the senses that these artworks seem to embody? But then again … does that even matter? Surely the primary goal is to draw children and families in to our art museums and to engage them – a goal that I agree has been amply met by both shows.